When I joined SL back in 06, you could not take a step without meeting a Dutch person. They were everywhere, and added so much to Second Life as a large community of people, proud and passionate. I remember going to the Amsterdam sim, and just walking along the waterways, and enjoying the little stores that were built along there. There was also a huge club and other Amsterdam like activities, but I was enamored by the replication of the city more so. The Dutch have always been so happy and helpful in Second Life, I think they are hugely responsible for many staying here and going on to making a really big mark on Second Life as a whole, and definitely so when it comes to the Fashion community. Two such lovely creators are of course SySy Chapman, and Mina Nakamura, who are both part of an inspiring event that is annually held in both SL and RL. 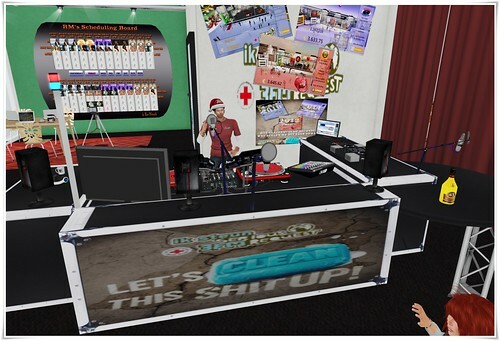 The Serious Request event is going on right now in Second Life, and starts tomorrow in RL. Where in both places DJ’s are locked inside a Glass house for many days, and do not eat during that time. They do 4 hour shift on air, and play requests that are given to them from the donating public. This is an amazing thing and raises a huge amount of money in RL for such great causes. You can find information about this years cause on their website HERE . You can do your part by tping over to the event, and giving support by not only donating , but also moral support for the people giving of their time, to commit to this wonderful event. I spent a few hours there this evening with SySy Chapman and Sofia Gray, as well as the lovely hostesses – One of which is getting married in the Glass house tomorrow – and the DJ, and the owner of the Sim Tyrek. Not only was it fun to see all the chatter in Dutch, but they were so friendly and spoke in english even though I was the only english speaker there, the Dutch are incredibly hospitable, another thing they are world wide famous for in my opinion, well Down Under they are definitely known for it :). 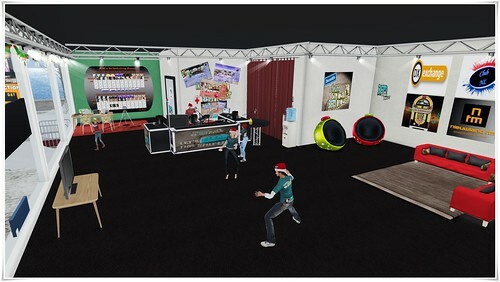 There are items being auctioned on boards, as well as huge donation boards at the dance area, and you can click on the panel at the glass house to let the DJ know your requests as you donate. No amount is too small, and everything you donate encourages everyone involved. 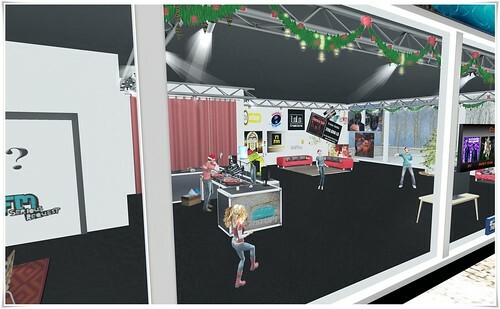 At the end of the event – the reason that the SL one ends before the RL one – the money raised in SL is taken to the real Glass House event, and donated…and from what SySy tells me, this is just a glorious thing to be part of here in Second Life, and as well in Real Life. There is also the coolest bar of soap you can buy on the website, that has CLEAN as raised text, and I think its great, I have to check if they deliver my way, because I want one. If you don’t want to donate in SL that would be a great way to do your part, its only 5 Euros which SySy says is about 1500L. SySy also has items in her mainstore, that you can purchase that donate to the event, as well as an upcoming Auction item that will be Auctioned on the same day as Mina’s , which is this Thursday, so try and head on over for that. You can see other information on the Serious Request SL website HERE. As I mentioned, go , visit, say hello and show support any way you can, whether by donating, or spreading the word, or just going and meeting new people and supporting the people involved that are also going without food in RL just like the main event. as well as everyone else that was there during the event while I was, thank you all so much for doing what you do to help those that need it.